As the Democratic convention draws nearer, Hillary Clinton will say what she needs to say to make Bernie Sanders and his supporters feel that they can support her—the specter of President Trump having already convinced them that they must support her—without betraying the commitment that drew them to Sanders in the first place. By saying that she will say what she needs to say, I don’t mean to imply that she will say anything she doesn’t believe. I think that there is little real policy daylight between the two Democrats. But Sanders and his posse will want to hear Clinton paint herself into a corner from which the prospect of support, financial and otherwise, from Wall Street and big business cannot extricate her. Then she can turn her attention to bridging the gap that separated her from Sanders and separates her from Trump: not the gap between policy proposals, but the anger gap. It’s the anger gap that has kept Sanders afloat as long as he has been. On paper, it should be an easy choice for Democrats. 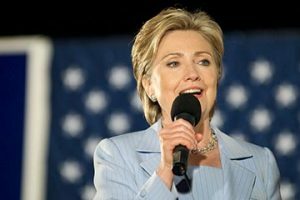 Given the similarity of their policy positions, the superiority of Clinton’s background, both legislatively—as a senator, Clinton mastered the legislative process, while Sanders, in both the House and Senate, planted flags—and as an executive: Secretary of State vs. mayor of Burlington, Vermont. But Clinton has never matched Sanders in righteous indignation. I say “righteous” advisedly: The policy choices that dug the steep-walled ditch we call the Great Recession—the leaving of moneyed financial interests to their own devices, the failure to put malefactors of great wealth at the only risk that matters to them, the risk of imprisonment, and the consequent economic and social misery—were more than misjudgments. They were heedless blunders. They deserved—still deserve—anger. Clinton is notoriously hard to read. She may very well recognize the ravaging for profit of the economy’s most vulnerable Americans for the outrage that it was. But if she does she doesn’t show it. * And her failure or inability to display anger leaves people free to assume that she views her fellow Americans’ immiseration with an equanimity that might blind her to dangerous policies in the future. As misfortune would have it, Clinton will face in Trump a candidate who is defined by the anger he manifests and inspires. His misogyny is naked and undisguised. 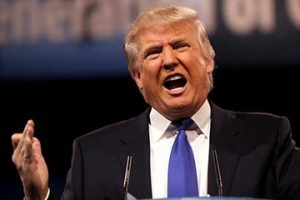 Both the nativism of his great-wall immigration policy and the xenophobia of his imprecations against free-riding foreign countries are betrayed by their very impossibility of execution. These are not proposals meant to be executed but to stimulate grievance. And it has worked. As came close to happening in Clinton vs. Sanders, as happened in the Republican primaries, emotion trumped policy. Tant pis, as the French say. So much the worse. Because too much emotion, especially too much anger, is an unreliable and often dangerous factor in making almost any choice and in making political choices in particular. 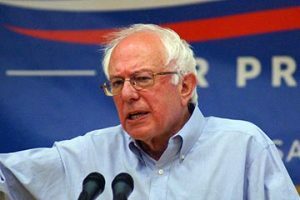 Sanders’ righteous anger obscures the fact that such concrete proposals as he has made are like early-winter lake-ice: liable to crack when any weight is placed on them. And Trump’s pseudo-proposals are likely to generate a lethal combination of despair and rage when their inevitable failure is blamed not on their impracticability but on stabs in the back by the groups they were meant to bring to heel. Which makes it incumbent on Clinton to do two things. First, abstain from trying to woo Trump voters by simulating anger. She is awkward enough manifesting emotions she actually feels, much less those that are foreign to her nature. But second, lead voters who are legitimately angry–at what Trump is and what he represents, and at the policies that a Republican Congress and president will visit on the country—not to waste their indignation on Sanders-style flailing and railing but to harness it holding Democratic nominee and President Hillary Clinton’s feet to the progressive fire.